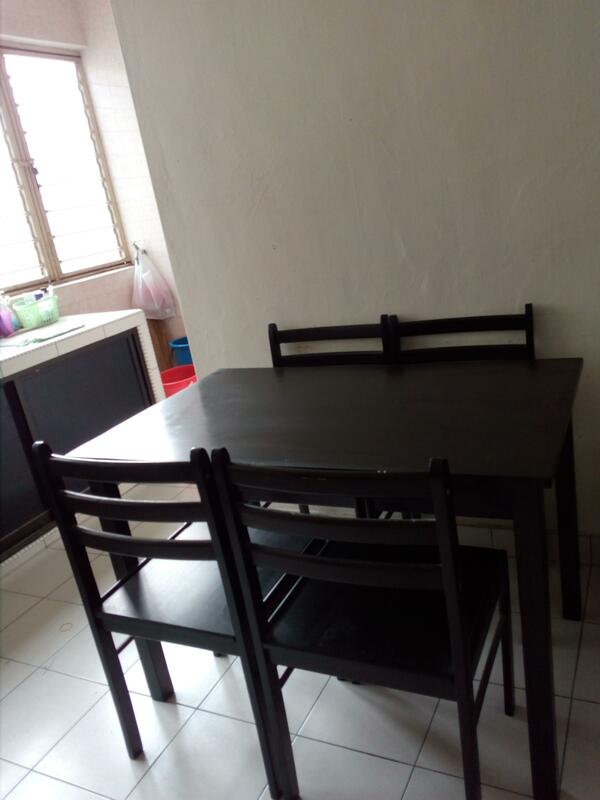 1 year old dining table with 4 chairs available at Taman Ungkuh Tun Aminah, Skudai. 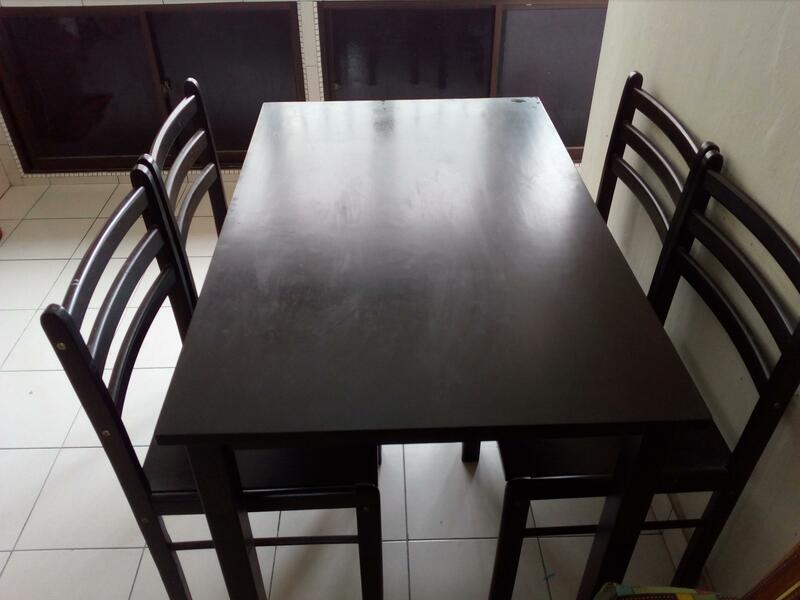 Owner moving to different state and dining table is ready for collection. Dining table price is negotiable. Kindly whats app if you are interested.